Boston, MA - The Global Health Committee (GHC) has received a three-year $500,000 award from the Lilly Foundation to scale up the drug-resistant TB treatment program it initiated in Ethiopia. In concert with previous awards from the Jolie-Pitt Foundation, the Annenberg Foundation, and the Lilly MDR-TB Partnership, this award will help GHC meet its goal of achieving universal access for drug-resistant TB care in the country. 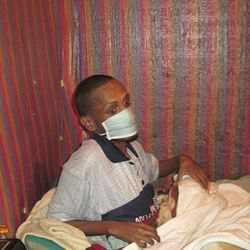 Ethiopia, which has the second largest population in Sub-Saharan Africa, is estimated to have 6,000 new cases of drug-resistant TB each year. "Eli Lilly & Co. has been with us from the beginning in 2009 when we began the countrywide program with the Ministry of Health," says Dr. Anne Goldfeld, GHC president and co-founder. 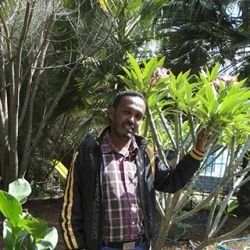 "The company's donation of capreomycin, the most expensive and key part of the two-year drug-resistant TB regimen, was a game changer in allowing us to initiate care for drug-resistant TB in Ethiopia since there were no drugs in the country for this disease at that time. The generosity of this donation now from the Lilly Foundation will help us to scale up an intervention that we have shown works and to save thousands of lives." According to a 2009 WHO report, there are 500,000 new incident cases of drug-resistant TB each year globally with the number of cases compounding yearly. It is estimated that of the 3.5 million people who have been diagnosed with drug-resistant TB globally since 2000, 1.5 million have died, although this disease is curable in most cases. "We have successfully treated nearly 800 patients to date in Ethiopia using methods we pioneered in Cambodia," Dr. Goldfeld explains. "With the support from the Lilly Foundation we will be in an excellent position to help the Ethiopian national program scale up care and achieve a global first of 100% access to drug-resistant TB care in an extremely challenging environment with a widespread rural population. This could pave a way forward to break through the bottleneck of care for this disease that currently exists in the world."